The Future Hamburg Award for provides startup teams with immediate access to one of the most vibrant startup ecosystems in Europe. 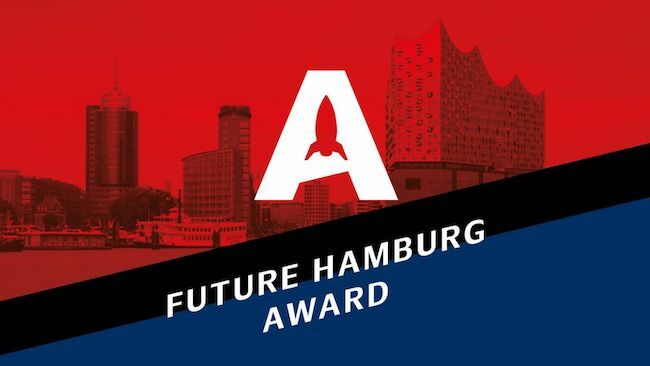 Innovative entrepreneurs can apply at www.future.hamburg/award/ until January 31, 2019. Hamburg (Germany) offers the perfect breeding ground for international businesses. Recently Hamburg’s startup scene was invigorated in 2018 with venture capital to the tune of €548 million. The award is aimed at innovative startup businesses from around the globe. What is special about the Future Hamburg Award is the fact that the “Start me up in Hamburg” package has a modular design that can be adapted to individual needs. Three selected teams will receive exactly what they need to gain a foothold in the German market and to become internationally successful: business coachings, media reach, access to B2B networks and free coworking space in Hamburg.